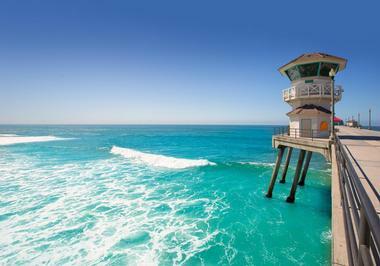 The United States is one of the top ten countries in the world when it comes to total coastline area, and the country's beaches are spread out over 30 states and four coasts: the Atlantic Ocean, the Pacific Ocean, the Gulf of Mexico, and the Great Lakes. This incredible variety means the country has every kind of beach imaginable, and whether you're a beach bum or an adventure seeker, you're sure to find what you're looking for. 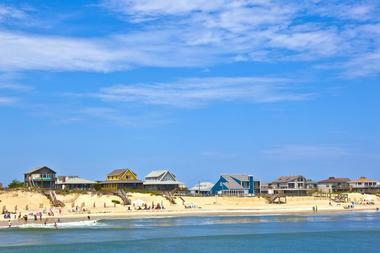 Here are the best beaches in USA. 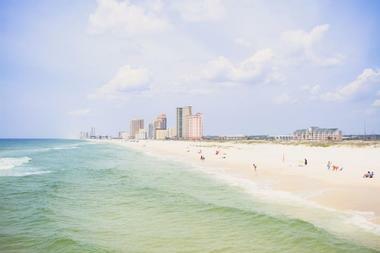 Located in the sunny Gulf of Mexico, Clearwater Beach is known for its pristine white sands and beautiful blue waters. Popular activities at the beach include sunbathing, parasailing, and boat tours, and dolphin sightings are fairly common in the waters of the Gulf. The beach is also a regular hub of activity, and event highlights include the annual Clearwater Jazz Festival and a nightly sunset celebration on the pier with live music and street vendors. A number of restaurants and shops can be found along the beach, and there are also drinking fountains and outdoor showers available for public use. 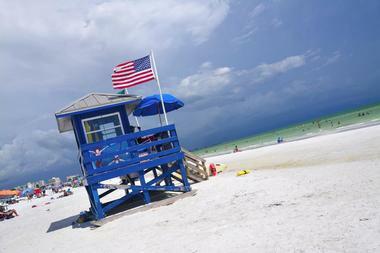 More Florida, USA beaches, Things to Do in Clearwater. 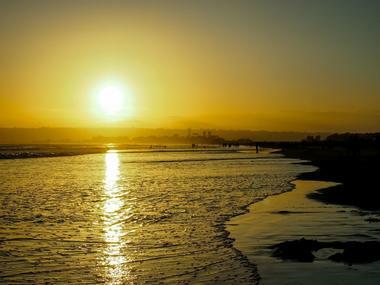 Coronado Beach is actually home to four distinct beach areas: Coronado City Beach, Tidelands Park, Glorietta Bay Park, and Centennial Park. The beaches are well known for the presence of mica, which causes the sand to glitter gold in the sun. 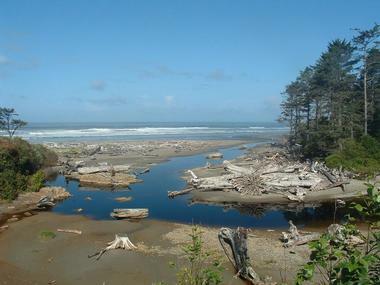 Located on the southwest coast of the Olympic Peninsula, Kalaloch Beach is inside Olympic National Park. The waters are a safe haven for many types of marine wildlife, so sightings of animals like puffins and otters are common. The beach is home to one of only two campgrounds on the southern coast of Olympic National Park; campsites fill up quickly, so visitors are advised to reserve a spot as early in the year as possible. There is also a lodge located right on the beach, which has rooms and cabins to rent if reserved in advance. 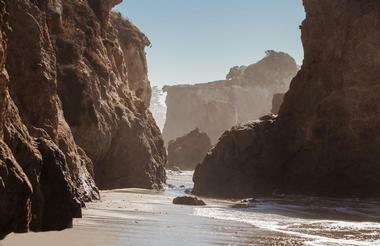 Next read: Best Oregon, USA beaches. 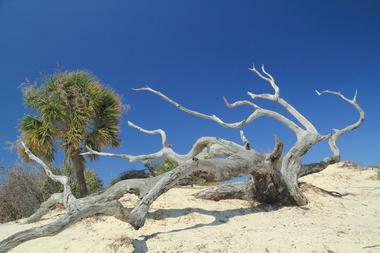 Sea Camp Beach is a large, undeveloped beach located on the Atlantic side of Cumberland Island. The large variety of shells in the area makes the beach an excellent spot for beach combing, and visitors may even be able to find shark teeth. Formed inside a volcanic cone, Hanauma Bay has been a protected marine life conservation area and underwater park since 1967. The signature curved shape of the bay makes it ideal for snorkeling and swimming. Parking at the beach is very limited, but shuttle services make the trip out to the bay several times a day. A public bus is also available. Admission is charged for everyone over the age of 12, and the park is closed every Tuesday, Christmas Day, and New Year’s Day. Snorkeling equipment can be rented at the beach, and a gift shop and snack bar are on site as well. More Best Oahu beaches. 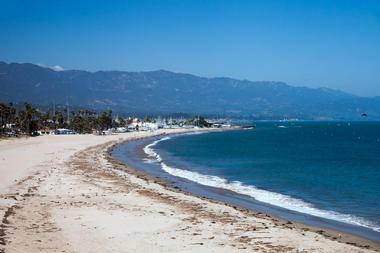 As the name implies, East Beach in Santa Barbara is found on the eastern end of a four-mile stretch of city beach parks. Visitors to the beach can enjoy picnic facilities, a children's playground, and one of more than a dozen volleyball courts; volleyballs can be rented from the Cabrillo Pavilion Bathhouse on-site. 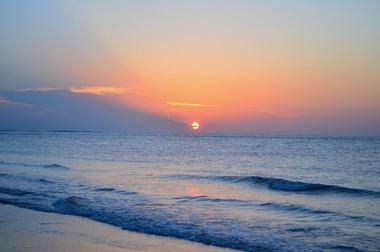 Made up of 12 miles of beautiful white sand, Islanders Beach is located on the eastern shore of Hilton Head SC. The beach is wheelchair accessible thanks to a boardwalk bridge and beach matting that lead to the ocean, and the water boasts a gentle underwater slope that makes it extremely swimmer-friendly. Visitors are welcome to use the picnic pavilion and grill. Permit parking is available for those with annual beach parking passes, and metered parking spots are available for all others. Other amenities at the beach include bike racks, public washrooms, a children's playground, and outdoor showers. 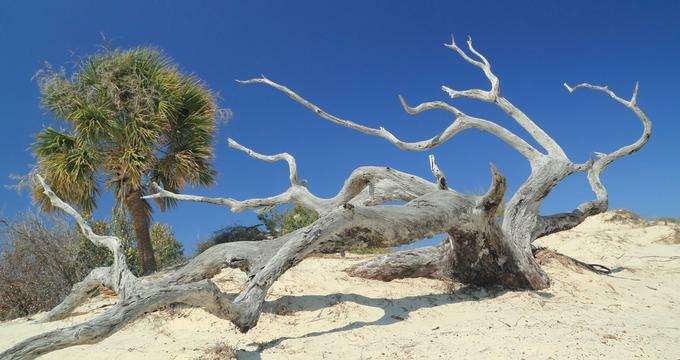 More SC beaches, Things to Do in Hilton Head SC. 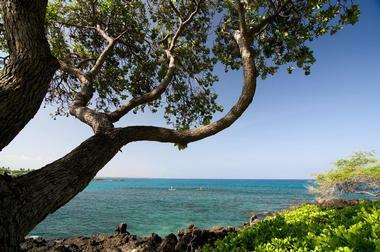 Sometimes called Mauna Kea Beach, Kauna'oa Bay Beach boasts one of the most beautiful white sand beaches in Hawaii. 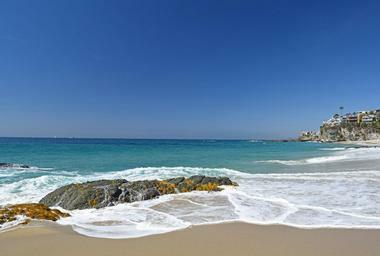 The beach is roughly half a mile long, and the gentle slope of the beach makes it ideal for sunbathing. The waters are generally calm, and they are home to two coral reefs – naturally, popular activities include snorkeling and swimming. The Mauna Kea Beach Hotel is located right on the beach, and after the sun goes down the hotel turns on floodlights over the water to attract hungry manta rays. Visitors can swim or dive with the manta rays or simply observe the spectacle from above. 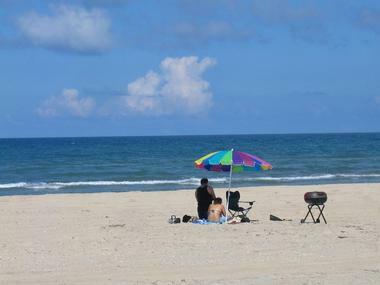 Situated near the north end of North Padre Island, Malaquite Beach is made up of roughly 4-5 miles of uninterrupted white sand. The beach is rarely crowded, and popular activities here include kayaking and windsurfing. The nearby visitor center features displays on local history and wildlife, and it also offers a gift store and a snack shop. Various activities and events are held at the Malaquite Beach Pavilion, including guided evening stargazing tours and annual turtle releases. 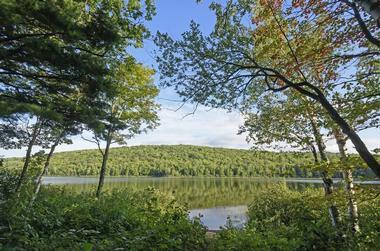 The Malaquite Campground offers approximately 45 semi-primitive campsites and can accommodate tent and car campers only. Camping is available on a first-come, first-served basis. More Texas, USA beaches. Located along Little River, Van Damme Beach is part of the 1,830-acre Van Damme State Park on the Mendocino Coast. The beach has an excellent location in a semi-protected cove, making it a popular destination for abalone divers. 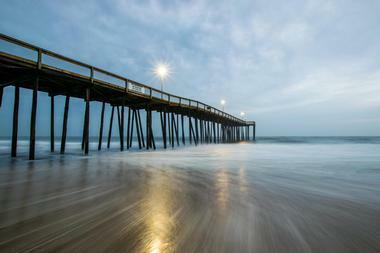 With its 11 miles of sand, the Nags Head Beach is a great place to go for traditional beach activities like swimming, sunbathing, and beachcombing. Anyone looking for more adventure can snorkel around several shipwrecks in the area, go dolphin watching, or go kayaking. 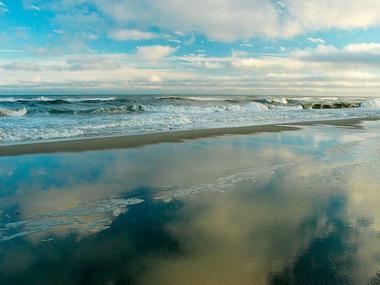 The Ocean City Beach consists of over 10 miles of clean water and beautiful, well-maintained sand. Surfers and boogie boarders will be pleased by the excellent waves at the beach, and a specific section of the beach is reserved for surfers. 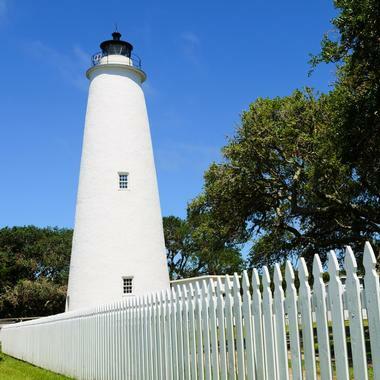 Located in the Outer Banks, Ocracoke Beach accessible either by Highway 12 or by kayaking along the beautiful Pamlico Sound. Sixteen miles of undeveloped beach provide plenty of space for visitors to sunbathe, fly kites, and hunt for shells, while the water is popular with swimmers, surf fishermen, boogie boarders, and surfers. The beach is home to many different species of birds, turtles, and shellfish, and lucky visitors might catch a glimpse of a herd of wild horses. Several sections of the beach are open to vehicles, and the beach is occasionally closed for bird and turtle nesting. 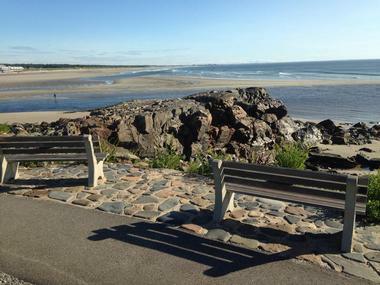 Ogunquit Beach is located on a long peninsula that forms a natural barrier between the Atlantic Ocean and the Ogunquit River. The middle section of the beach is often called Footbridge Beach, as it is home to a footbridge that crosses over the river. 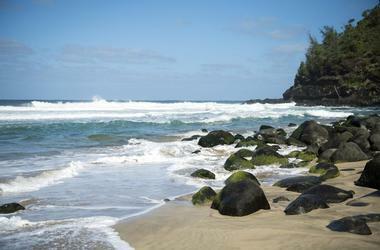 Popular activities here include swimming, bodysurfing, sunbathing, and beachcombing. Lifeguards are on duty during the day in high season, and there is pay parking in a large lot at the southern end of the beach. Chairs, umbrellas, and flotation devices are available for rent, and public facilities include washrooms, outdoor showers, a boat launch, and picnic tables. With its beautiful location in the Gulf of Mexico, Orange Beach offers 32 miles of soft white sand perfect for sunbathing and building sandcastles. The beach is also home to the largest artificial fishing reef in the United States, making deep-sea fishing expeditions one of the most popular activities in the area. St. Pete Beach is located just off the Pinellas County mainland of Saint Petersburg, and it boasts the longest undeveloped stretch of public beach in the county. The soft white sand of the beach is great for sunbathing, beach combing, and building sandcastles, and the clear, shallow water will encourage even novice swimmers to take a dip. Visitors can also participate in a number of water sports at the beach , including parasailing, stand-up paddle boarding, windsurfing, and kite boarding. Several small restaurants and bars are conveniently located right on the beach, and metered parking is available. Located on the beautiful blue waters of the Gulf of Mexico, Siesta Beach is known for its sand, which is made out of 99% quartz. The unique composition of the sand means it stays cool no matter how hot the sun. The family-friendly beach has a shaded picnic area as well as a children's playground, and beach wheelchairs are available for visitors to borrow. An on-site concession stand sells drinks and snacks, and tennis and volleyball courts are also available. There are lifeguards stationed at the beach throughout the summer, and Drum Circles are often held at the beach on Sunday evenings. Located on the tiny Assateague Island, South Ocean Beach is perfect for visitors looking to experience the wild side of the Atlantic Coast. Assateague Island is well known for being home to herds of wild horses, which visitors will frequently spot. Vehicles are permitted on the beach if they obtain a permit , and 12 miles of drivable sand make it easy for them to find the perfect spot to go crabbing, clamming, or surf fishing. The beach is also inviting for swimmers, and it boasts some of the best waves in the mid-Atlantic, making it a surfer's paradise. The Cove Beach is the best of the famous Cape May beaches, with gray sand and a laid-back atmosphere that welcomes visitors to its shores in every season. During the warmer months, the gently sloping beach is a popular destination for families and anyone who likes to swim, surf, or kayak. The shape of the beach changes from year to year, but the cooler months always bring excellent opportunities to go bird watching, beach combing, or fishing. 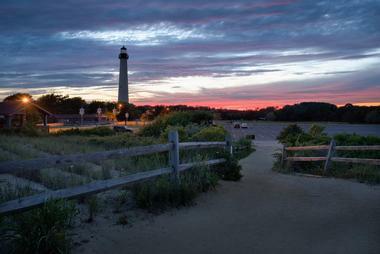 A picturesque lighthouse can be seen from the beach, and a nightly flag-lowering ceremony draws local spectators as well as tourists. Visiting North Manitou Island is a unique experience; the 15,000-acre island is located in Lake Michigan and surrounded by fresh water on every side. Many visitors to the island choose to camp, and camping is permitted anywhere on the island 300 feet or more inland. There is one designated camping area, and this is the only place fires are permitted. The island is only accessible by boat, and other popular activities include hunting, hiking, and swimming. Several old buildings are scattered around the island, but visitors are advised to stay away, as most of the buildings are quite decrepit and dangerous. More Michigan, USA beaches. The Atlantic City Beach is home to the world-famous Atlantic City Boardwalk, which has been an American icon since it was constructed in 1870. This beach has the best of both worlds: beautiful ocean views and a wide variety of stores ranging from boutique shops to candy stores. Those looking to enjoy the beach can enjoy surfing, kayaking, or fishing, and anyone looking for a bit of adrenaline can try windsurfing or parasailing. The boardwalk is also home to a number of different restaurants, casinos, hotels, and family-friendly activities like mini-golf and amusement park rides. 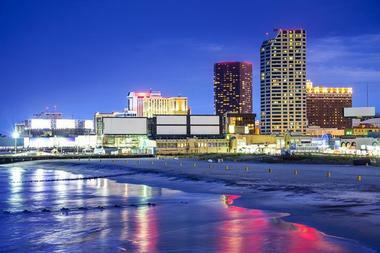 More New Jersey, USA beaches, Things to Do in Atlantic City. Known for the long, steep staircase visitors must climb to access the beach, 1000 Steps Beach is one of the largest beaches in Laguna. There are actually only 230 steps to the beach, and its well worth the climb. The beach is perfect for sunbathing, surfing, and snorkeling, and amenities include volleyball courts and public washrooms. When the tide is out, visitors can explore the large caves found at both the north and south ends of the beach. Parking is scarce, and visitors should take care to park in a legal spot to avoid a ticket. Accessing El Matador State Beach in Malibu requires climbing down a steep dirt trail and then some stairs, but anyone who can't make the climb can still enjoy the stunning view from the upper cliffs. 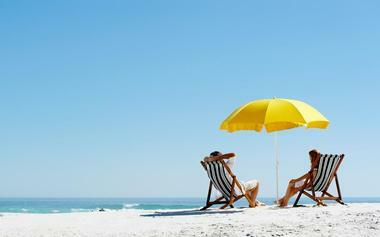 The beach is quite long, and has plenty of room on the sand for sunbathers. The large waves make this a popular destination for body boarding and body surfing year round. The beach is open 8am to sunset, and pay parking is available during this time. There is no lifeguard tower on the beach, but lifeguards will be on duty during busy weekends in the summer.